Firebird Raceway In Idaho Becomes The First Dragstrip To Be Placed On The National Register of Historic Places! It isn’t the first racing facility on the National Register of Historic Places, but Firebird Raceway, near Eagle, Idaho, has become the first dragstrip to make it onto the list. A family-owned facility since Bill and Ellanor New brought the facility to life in 1968, Firebird has changed little in the fifty-one years since the first event, that saw a packed house and Bob Riggle and the Hurst “Hemi Under Glass” Barracuda wheelstander providing a show. With a bracket racing series that dates back to 1976 and a high-school drag racing program that is just as old, Firebird has been a solid friend to the racer, a track that was designed to be away from the housing developments from the get-go, a place that was simple and straightforward. The track was laid down in a valley that allowed the stands to be placed higher than the track itself. 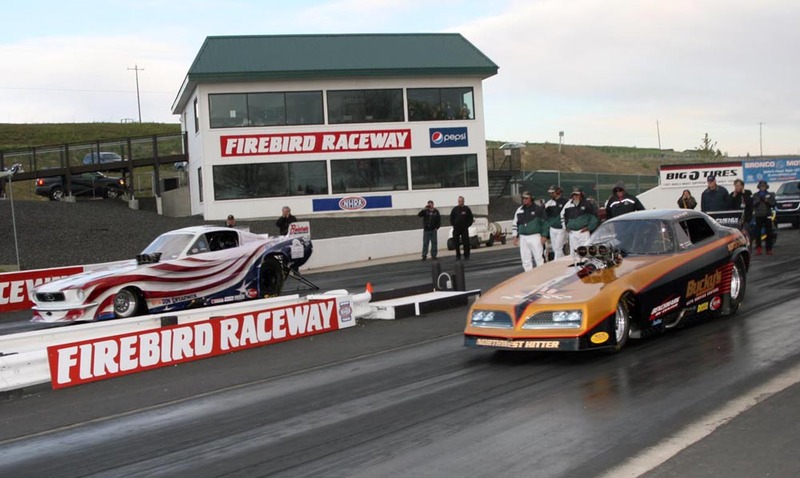 While certain elements of Firebird have been upgraded, either out of necessity or to align with NHRA regulations, much of the track is as it was when it first opened up. In the relatively short lifetime of the track, Firebird Raceway has made a strong commitment to the state of Idaho as a safe, racer-friendly and spectator-friendly place for drag racing to take place, and that has all been due to the work of the New family, who have kept Firebird going even after Bill New’s passing in 2014. The desert plains of the Treasure Valley hide a true gem in the hills, one that we are glad to see gain the recognition that it deserves! Video: Masters Of Motors 2018 PRI Edition - Judging The Coolest Engines At The Hardest Core Performance Show In The Wold Unveiled: Ram's New Multifunction Tailgate For Half-Tons - Swing However You'd Like To! Great news! Now maybe some others may be recognized and escape the wrecking ball. Excellent news, this needs to happen much more, making tracks historicle land Mark’s is the best way to protect tracks and are hobby. Always thought drag racing or hot rodding as a whole needed some sort of historicle protection or maybe even being called a “religion” just to protect it. Sounds crazy but hey “sundays a holy day, sundays race day”. We need to figure out some way to protect are hobby, with environmental activists and other government agencies wanting to beat us down we have to do something to lock are hobby down. Fantastic! i know they love their drag racing in Idaho.